Management practices often aim to increase the level of gene flow by either: introducing animals from captive breeding programs, translocating animals from abundant areas, or increasing the chance of animals dispersing between populations by creating habitat corridors. These practices provide opportunity for the hybrid offspring of introduced and resident animals to experience either increased fitness (hybrid vigor) or decreased fitness (hybrid breakdown). There is very little quantitative data available to adequately assess whether hybridization is likely to be beneficial or detrimental to populations managed in these ways. Using Drosophila melanogaster populations, we conducted two experiments that simulate the common management practices of translocation and wildlife habitat corridors. We monitored the frequency and magnitude of hybrid vigor and hybrid breakdown in F1 hybrids to assess the relative risks and benefits to populations and also monitored net productivity (number of adults produced from controlled crosses) to assess whether the populations were stable or in decline. In the translocation experiment, we observed instances of both significant hybrid vigor and hybrid breakdown, both occurring at a frequency of 9%. In the habitat corridor experiments, populations with moderate to high dispersal (1–4% per generation) did not develop significant hybrid vigor or hybrid breakdown. However, of the populations experiencing low dispersal (0.25% per generation) for 34 generations, 6% displayed significant hybrid vigor and 6% displayed significant hybrid breakdown. 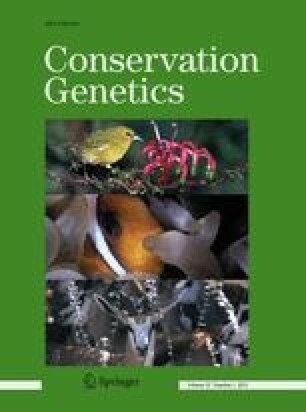 These results suggest that in first generation hybrids there may be limited opportunity to utilize hybrid vigor as a tool to increase the short-term viability of populations because there is an equal likelihood of encountering hybrid breakdown that may drive the population into further decline. However, our results apply only to populations of moderate size (N = 50; N e = 14.3) in the absence of deliberate consanguineous mating. Lastly, we observed that net productivity was positively correlated with dispersal rate, suggesting that initial F1 declines in fitness may be temporary and that it is preferable to maintain high levels of selectable variation via induced dispersal to assist the long-term survival of vulnerable populations. The online version of this article (doi: 10.1007/s10592-009-9984-z) contains supplementary material, which is available to authorized users. We acknowledge L. Tsai, E. Ho and J. Chao for fly culture assistance; O. E. Gaggiotti, A. R. Templeton, J. L. Wang and M. Mariette for comments on the manuscript and the Ramaciotti Centre for Gene Function Analysis for DNA fragment size analysis. This research was supported by Australian Research Council Grant DP0559363 to WBS and RAN.